I know I haven’t written for ages but there has been plenty of crochet going on; just couldn’t share photos with you in the run-up to Christmas. I am really excited about my next project though and wilI be sharing it with you. 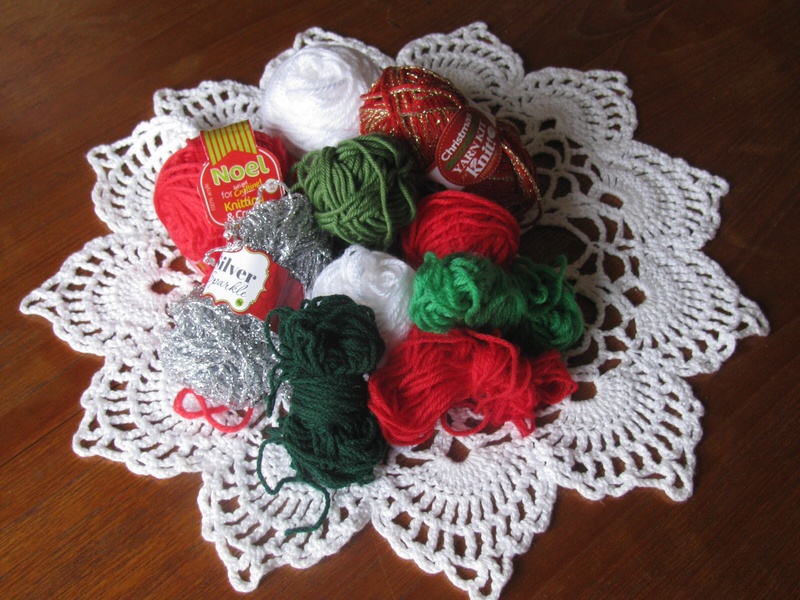 I can’t wait to start it after all the family celebrations – five small grandchildren do not allow much time for crocheting! I hope you enjoy a relaxing break and that 2016 brings loads of knitting and crochet fun. 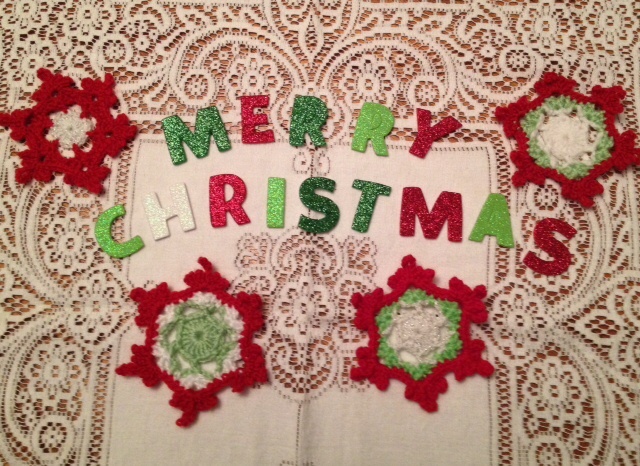 This is just a quickie to wish you all a very Happy Christmas and a craft-packed New Year. Thank you for your support during the past twelve months. Well, the presents are wrapped, the lights are up, the tree is decorated and my Christmas projects are finished and packed .. except for a teeny weeny bit of one which is proving quite slow. Can’t show photos, of course! What with prawns and stones it has all been a bit of a rush this year; promises made to myself to definitely start my Christmas projects earlier next time round simply do not work! I, for one, have already so many ideas and plans for how I’m going to spend any free time when the festivities of the next week are over and I’m itching to get those new patterns out and select my yarn. The anticipation of every new project is so exciting … can’t wait! But there’s lots of family fun and sharing to be enjoyed before that. I hope you all have a great festive season and that 2015 is filled with much knitting and crochet love. Just a quickie today to say a huge thank you to all those who supported The Woolly Prawn at our stall in the Abbotts Bromley Girls’ School Christmas Bazaar last Saturday and to those who bought books, kits or pebbles. I hope you enjoy them. I had lots of help from my granddaughter who was definitely giving the crocheted pebbles the hard sell and was generously distributing our cards for The Woolly Prawn and Crocheted Pebbles. 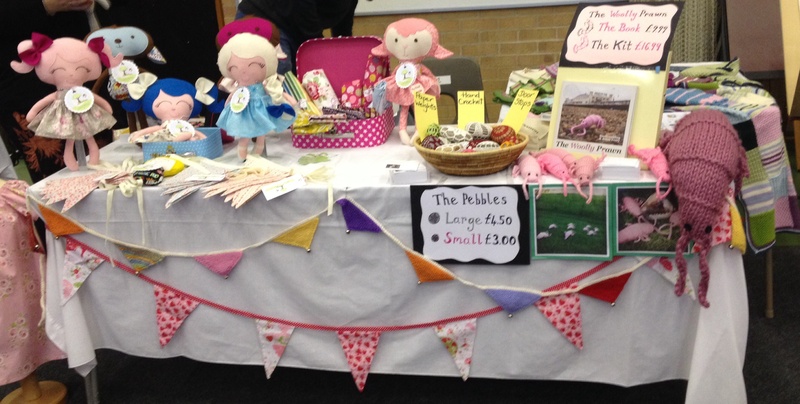 A big thank you also to Helen, who invited me to share her stall – we had a lovely day. Do take a look at her fabulous goodies – they make wonderful presents. Plans are afoot to extend the Woolly Prawn’s range of goodies for next year’s event – watch this space. Now it really is time to concentrate on my Christmas projects! No photos at this stage for obvious reasons. Time is certainly of the essence …. why does December seem to fly? Well, here we are – one day to go. 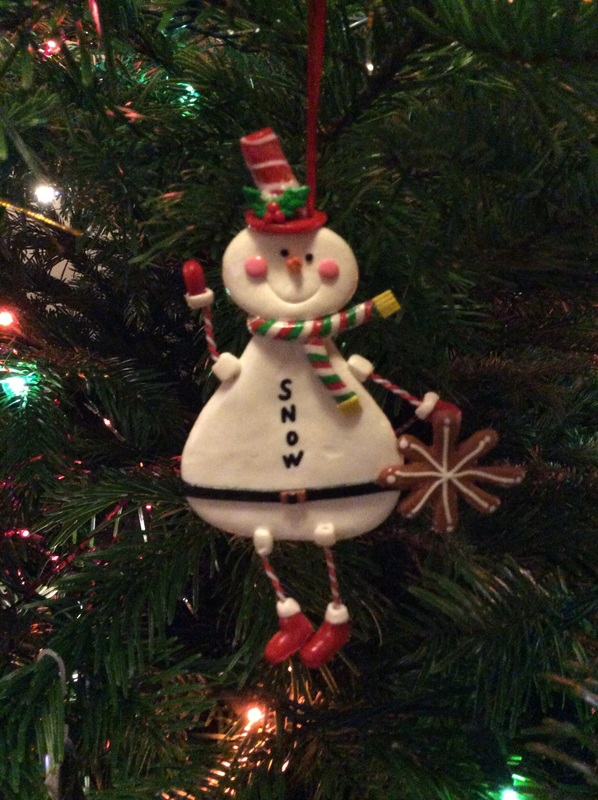 Stormy it may be but Christmas Eve has brought a great sense of achievement …. job well done even, though I say it myself, and I have enjoyed every minute of it. There may still be the odd arm, leg, eye, ear, tail, spike or even horn to attach but the Christmas goodies have taken shape and are mostly packed and labelled. Pics to follow after distribution! We’re off to Staffs for the “big day” and looking forward to it a lot. 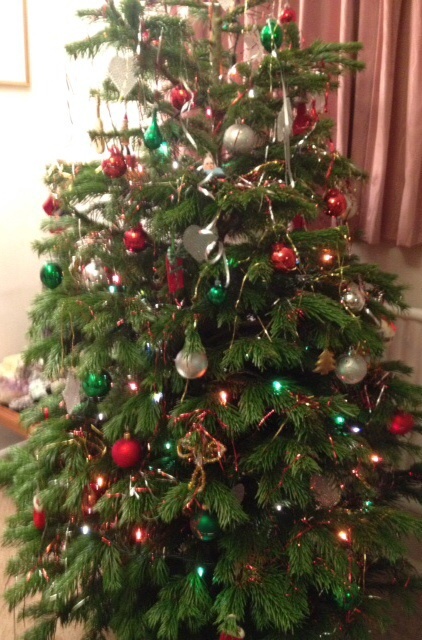 I’d like to wish everybody Happy Christmas and all the very best for 2014. Let’s hope you all have a great crafting New Year and that it turns out to be everything you would like it to be. Thank you all for supporting my blog during the last couple of months and for your patience with my somewhat random musings! I’m already excited at the thought of getting back to my knitting and crochet, my pebbles and snowflakes; as time has beaten me this year maybe I should start on a snowy garland straight away! Who knows where the journey will take me in 2014. Internet problems were an issue last week but it’s all sorted now so we’re back in business and it’s December. I’m quite traditional deep down and love it when I hear Christmassy music or see sparkly decorations. The arrival of December always brings excitement and panic in equal measure: yoga party and two Xmas lunches all within three days not to mention the sudden shortage of crafting time before Christmas Day. On Tuesday our knitting group met to make seasonal bits and bobs so the tiny white snowflake made for my pebble was replaced by some red, green and white larger ones. Then we all went off to the local hostelry for a roast lunch … really sociable and good to have time to chat about things other than yarns, patterns and the intricacies of reading crochet patterns. 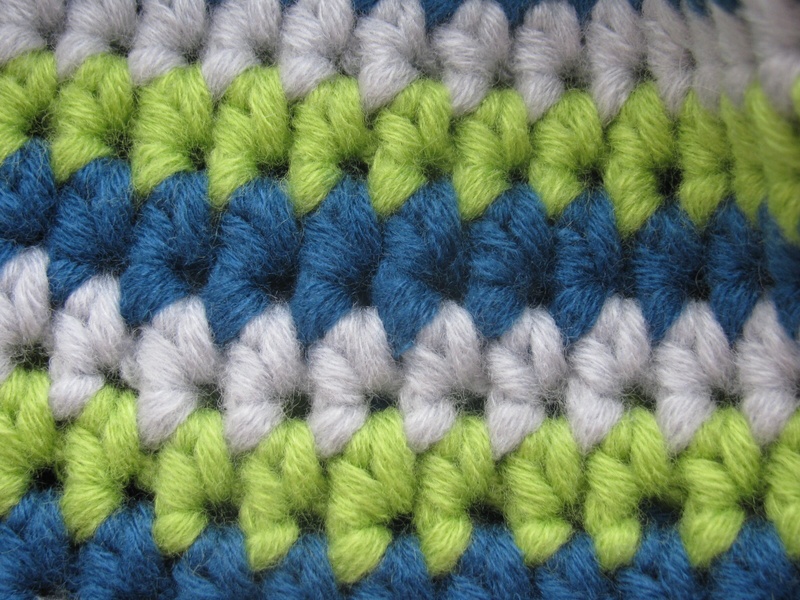 I expect you’ve guessed that I could spend every waking hour talking knitting and crochet! 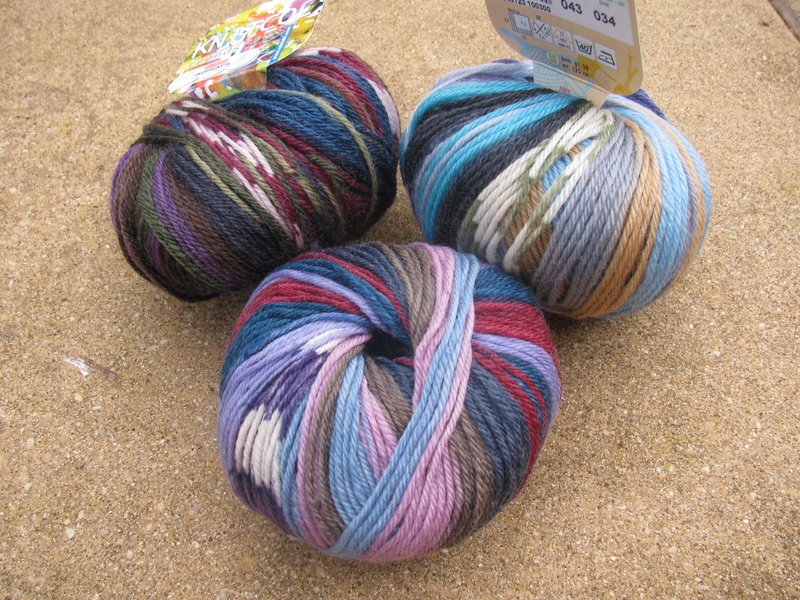 The afternoon was spent browsing The Wool Croft in Abergavenny and adding to already substantial stashes! 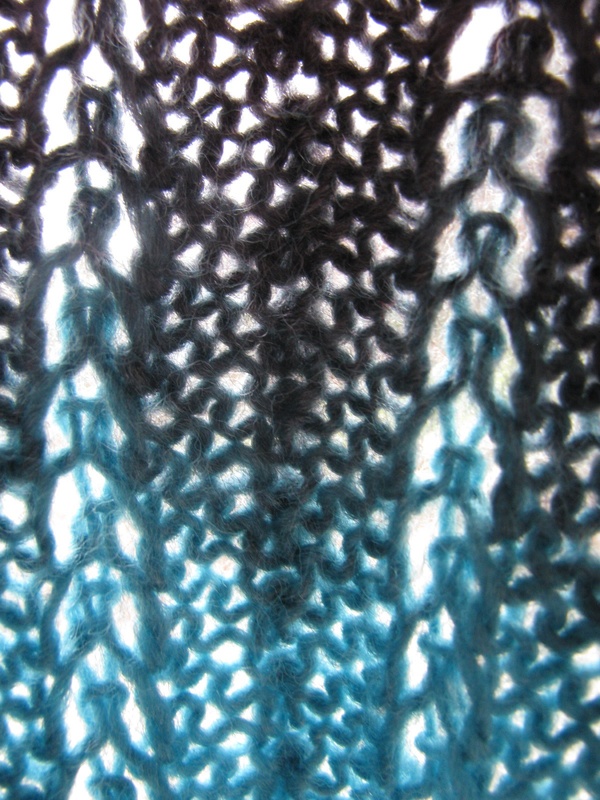 Luscious yarns to save till the New Year, you understand, when all our projects are completed! So all in all it was a beautiful knitty day. 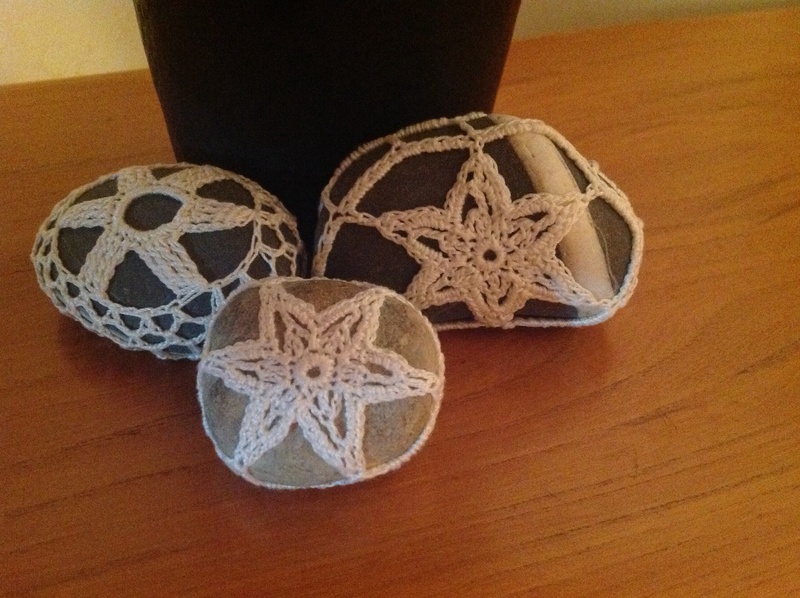 The crocheted pebbles haven’t been completely neglected either ….. and the finished results of the first snowflake designs have turned out quite well although a little tweaking is still needed to produce the finish which I have seen on some website photos. 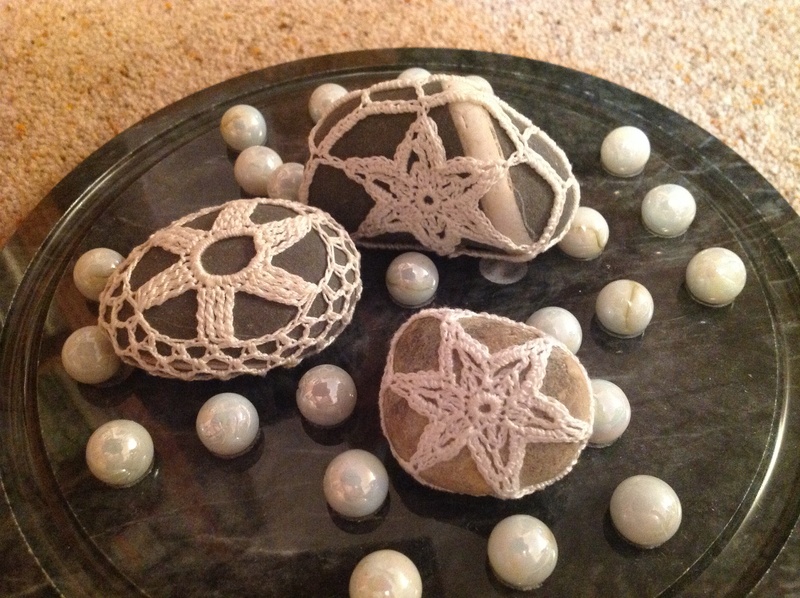 I think it will be a question of trial and error especially with very different shaped pebbles. A busy week as you can see – all great fun. Hope you are all getting on well with your Christmas projects. Why does every day seem so much shorter as the weeks go by? What I need is an extra month of crafting time!